Conference attendees assembled in the main visitor’s lobby of the Empire State Building along Fifth Avenue, where they were greeted by their host who gave us a brief history of the building and noted the incredible fact that the original construction from start to finish only took one year and 45 days, including the demolition of the original Waldorf-Astoria Hotel which previously occupied the site. The building opened in May of 1931 and today has 1,300 occupants within the offices and 4.3 million visitors to the observation deck each year. 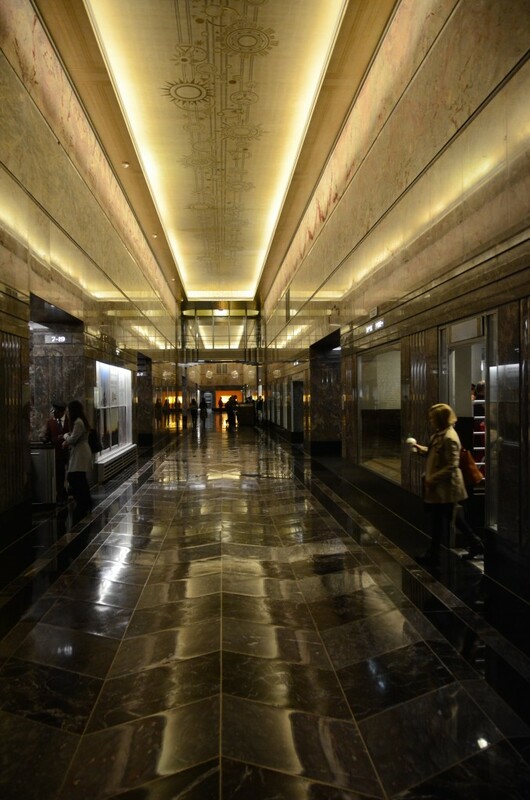 The group was then led into the main corridor linking the Fifth Avenue entrance to the elevators. 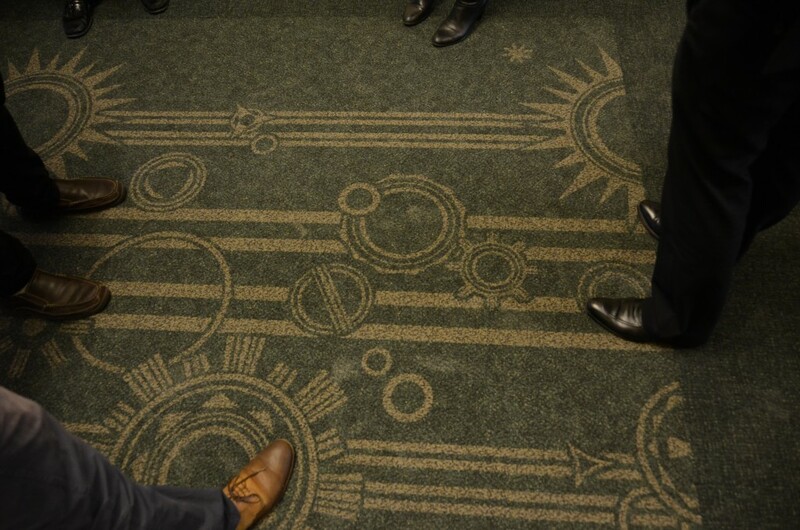 It was mentioned that the lobby restoration began after Anthony E. Malkin purchased the building in 2006. 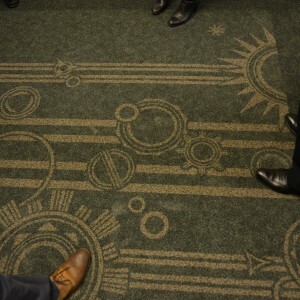 Walking towards the elevators, the group’s attention was directed to the ceiling mural “Celestial Gears,” an art piece which for years was hidden by a suspended acoustical ceiling that allowed dirt to seep through and cling to original work. 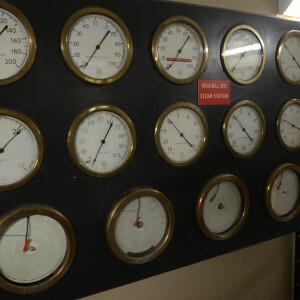 Damage was so significant that a full replica with 24 karat gold paint was created and hung six inches below the original, while sonar was used to match the design of what couldn’t be seen beneath years of grime accumulation. 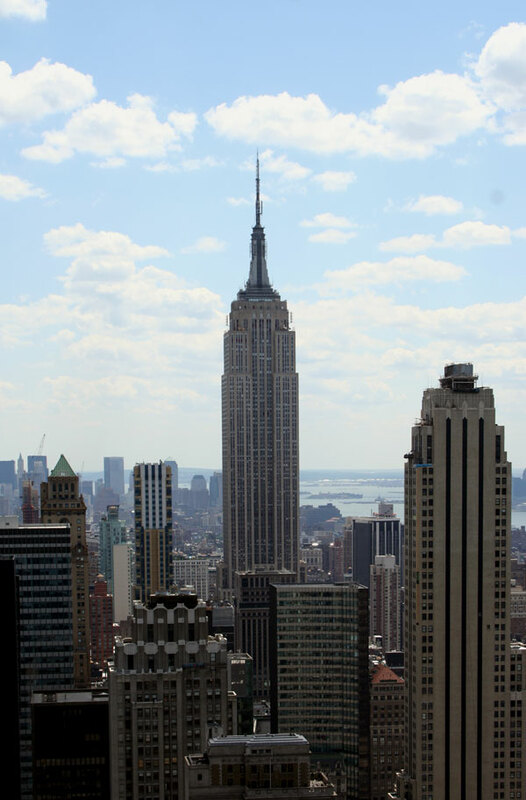 While capital improvements were immediately planned right after acquisition, a desire arose to use the Empire State Building as a laboratory to prove economic viability in greening the building. A partnership involving the Clinton Climate Initiative and Rocky Mountain institute was formed and a new directive for the retrofit was launched in 2008. A goal to reduce energy usage by 65% was established and every aspect of the building such as lighting, cooling, and the exterior envelope was investigated to come up with 66 individual projects that would contribute to the greater goal. The entire retrofit was then labeled non-proprietary and is open for anyone to replicate. 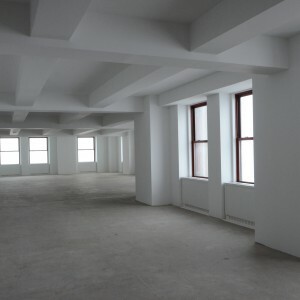 The group was then taken to the 73rd floor to be shown a roughly 25,000-square-foot “white box,” a full floor space gutted of all interior partitions and ready for leasing. 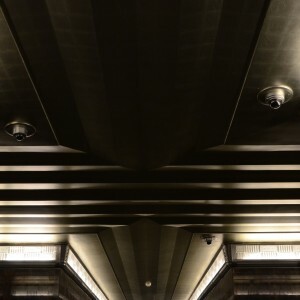 Members of the group immediately noticed how bright the interior was without any artificial lighting as the building was constructed with a standard of no more than 28 feet from the window line to core. 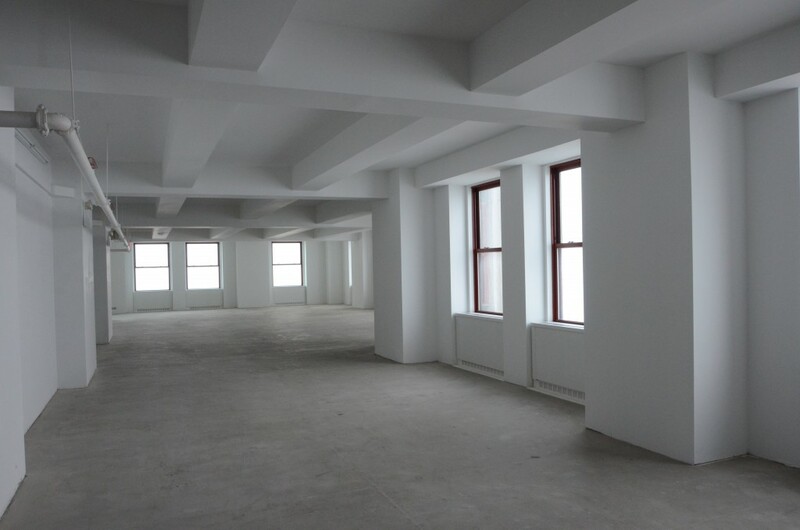 Since over 60% of energy usage typically is in tenant space, the offices were a particular target for improvement. 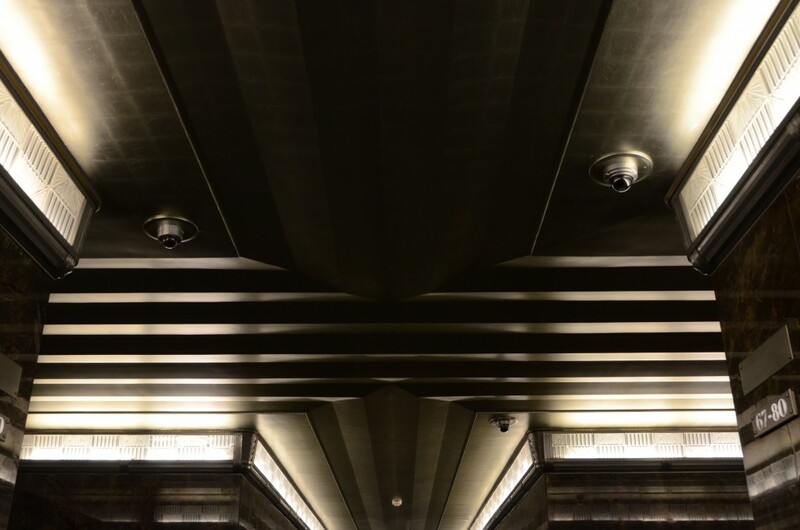 Because prewar buildings used stack ventilation for common areas, which immediately dismissed the ability to be labeled as “Class A” office space, an additional chiller was initially planned to the cool hallways. 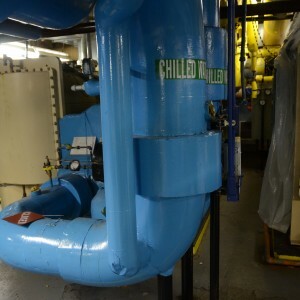 However, by insulating the radiators and making window modifications, the building’s chiller load was reduced by 30%, removing the need for any further plant capacity and saving $26 million. 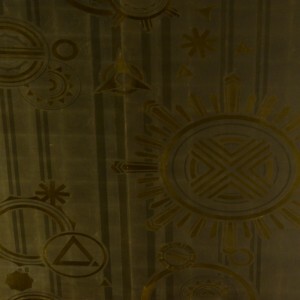 The windows were only 17–18 years old when the retrofit began, and as such, almost all original windows were retained. 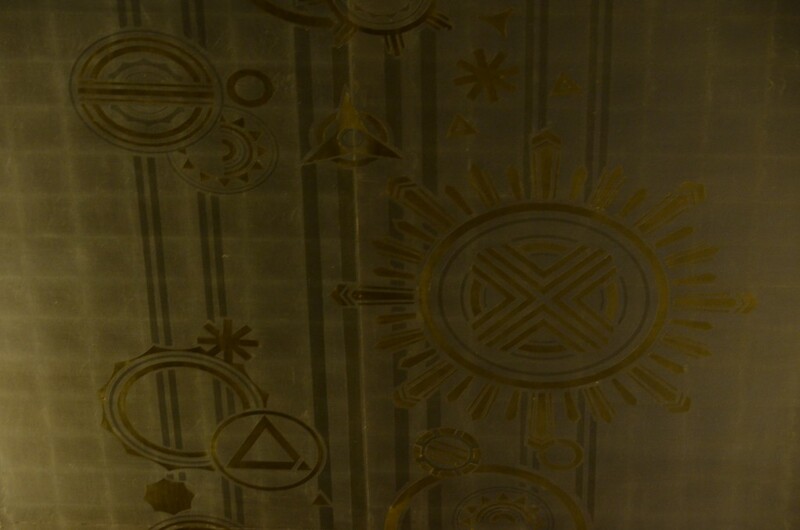 Krypton and argon gas was injected into the interstitial space between the glazing layers and a “suspended coated film” was baked onto the glass, which still allowed for over 90% transparency. Different specifications were determined for windows located on the north, east, west, and south sides of the building with some heat gain desired for the northern exposure. The R-value of the windows quadrupled from the minimal rating of R-2 to a rating of R-8 and the process produced significant savings, costing an average of $700 per window modification versus $2,200 for replacing each unit. 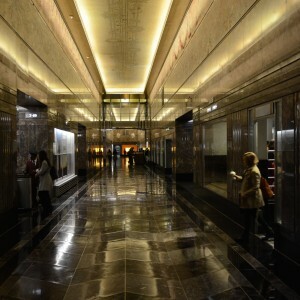 As the group descended to the basement level, it was noted that all 68 Otis Elevators in the building were retrofitted as well, the largest such project in the world. In doing so, regenerative breaking was implemented, creating a small amount of onsite electrical generation. 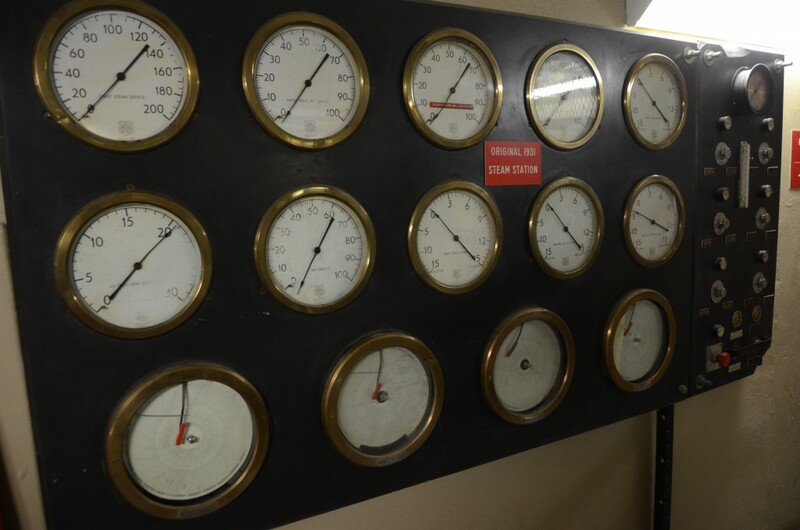 Once in the basement, the group was escorted past original 1931 gauges for building services as they entered the chiller plant, a latter addition to the building as chiller plants did not exist until the 1950s. 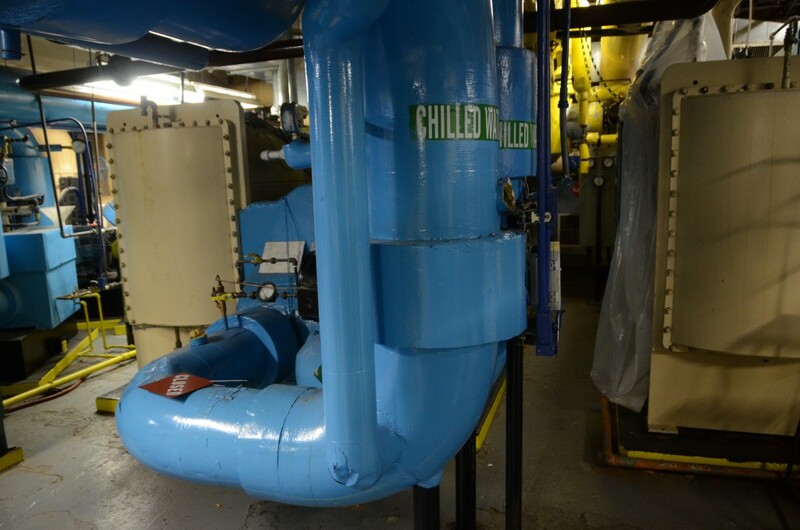 Within the plant there are seven chillers: four electric and three steam with a total cooling capacity of 7,500 tons. 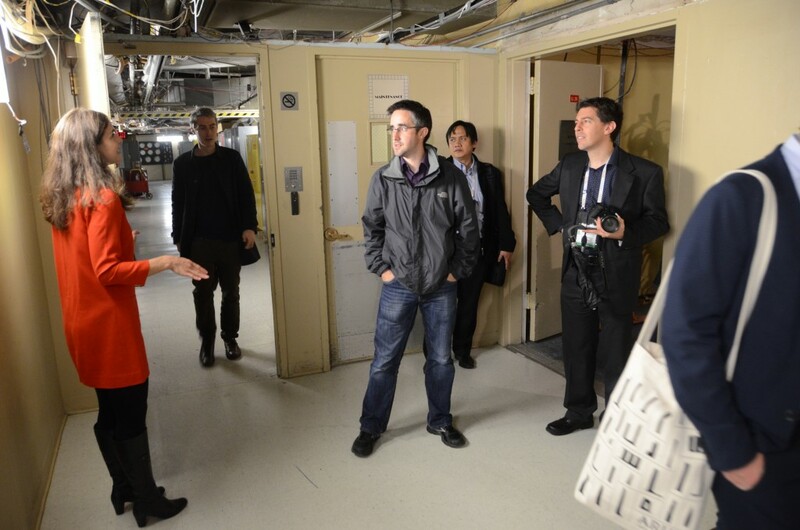 The group then concluded our tour and upon leaving, briefly met the building’s main electrical engineer in passing. 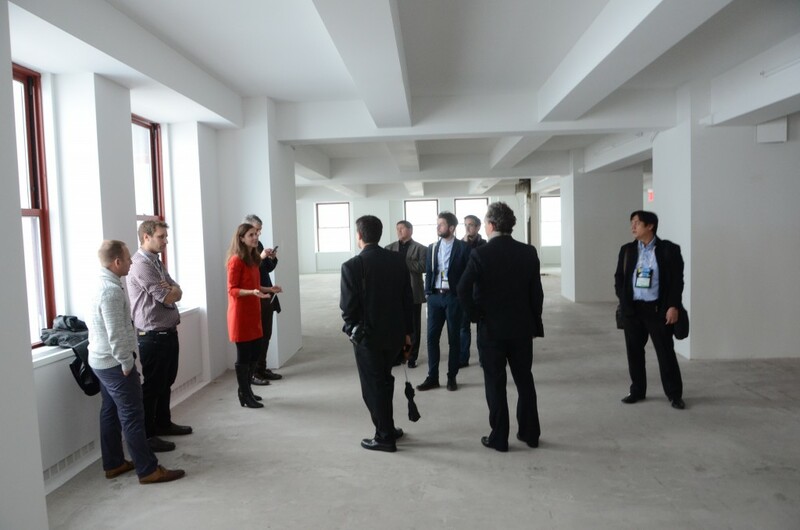 Many thanks to Empire State Realty Trust for organizing the tour and to JLL for leading it.